Those of you that know me know I absolutely LOVE LOVE LOVE animals....ALL animals!! And those of you that dont, well I'm letting you know now. I adore animals...ALL animals!! 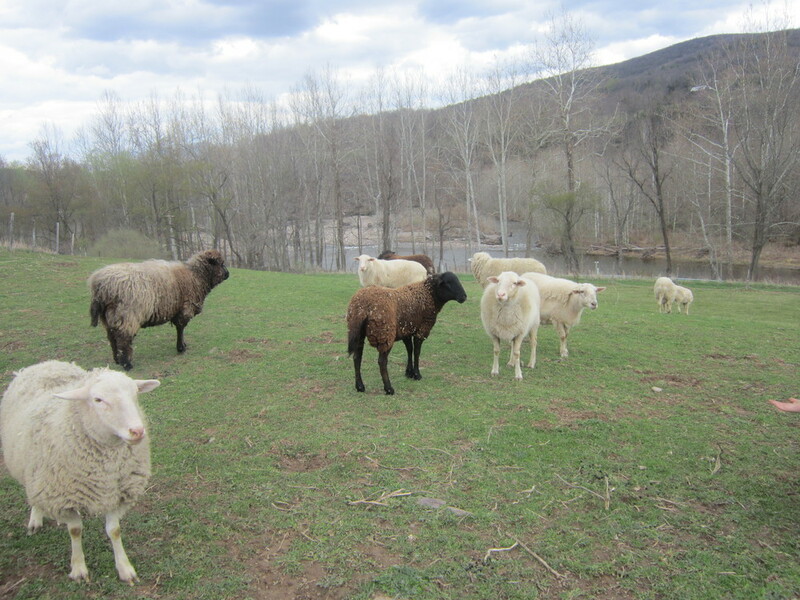 So it was very exciting to me to be able to visit an animal sanctuary recently in Pennsylvania. I had first heard about the Indraloka Animal Sanctuary when I saw a video that was circulating on Facebook about a poor little sweet pig named Jeremiah. This poor thing was rescued from someones backyard after someone called the authorizes upon seeing it out in the frigid bitter cold. The emaciated little pig struggled to breathe as blood poured from his snout, and yet his eyes were filled with hope. Under filth-encrusted sores and protruding bones, he wanted to live...just like you and I. The humane police officer heroically rescued him from a living nightmare on Thursday night on February 20th, but did not know if he was rescued in time. The vets warned that the damage might be too great. Jeremiah might not survive. He got worse before he got better. Vet visits, medicines, feeding his broken body by hand and even by syringe, and praying for his survival. Long-term pneumonia left his airways so scarred that blood and mucus spewed from his nose as he battled for air. Painful ulcers on his feet and legs from being forced to live in his own filth caused his legs to swell unnaturally. They feared that even if he survived he most probably wouldn't be able to walk again. And yet, throughout all of it, Jeremiah fought for his life. Eddie Traffic, is another young pig who on the morning of December 23, 2013, jumped from a slaughter-house bound truck in the midst of heavy I-80 Parsippany, NJ traffic. The terrified pig waited on the highway with cars roaring by for four hours before help arrived to take him to a safe home and a new life. I had the awesome pleasure of meeting these two gorgeous gentle souls, as well as many other of the animals wondering happily and freely on the property. Horses, goats, sheep, chickens, cats, and cows, many pigs, and even a peacock. There is something so beautiful about seeing animals roam freely, under the sun, breathing the fresh-air. Animals are no different than us. We all want the same things. ...sunshine, fresh air, a kind, gentle hand to give us belly rubs, to be told we are special and beautiful.......and some 'treat's. Located in Mehoopy, Pa., Indraloka is an all species animal rescue and provides “heaven on earth” to more than 150 animals who have nowhere else to turn. They educate the community, especially children, on ways in which we can better care for ourselves, others, and the environment all while helping animals in need. They are always looking for 'volunteers' and it is a beautiful way to spend the day with your children, so make sure you bring some treats with you. The pigs love bananas and apples, and so do the horses. They could also use donations and DeeVa Beauty was happy to make a small one. It was a 2 1/2 hour trip each way for me from North NJ, but it was worth the drive to meet the animals......and my beloved, forever in my heart...Jeremiah, who has had made a miraculous full recovery and is up and about walking and playing and making new friends. Jeremiah, you truly have been 'lifted up by love' ♥ .............and I am still swooning from our 'kiss'!!! Skin a little to dry and flaky this time of year? Moisturize for the skin to replenish, hydrate and protect. Choose those that contain plant-based moisturizers using natural oils and butters like shea butter and jojoba oil with essential fatty acids (omega 3 fatty acids). These ingredients penetrate the skin far better than man-made emollients made from petroleum derivatives. Moisturize at night with natures most perfect oil. Extra virgin coconut oil has been used for centuries by people all over the world and is nature’s oldest and most popular moisturizer. It keeps the skin strong and supple, preventing sagging, wrinkled skin. It protects from free radicals and prevents dry skin, blemishes, heals and repairs, and is known to reduce liver spots. Do not limit the use just to your face. It can be applied anywhere on your body, heels, hands, cuticles, elbows, etc. Omega-3 fatty acids are a key ingredient for beautiful skin. Most people are seriously lacking in these fats that are vital for vibrant, healthy looking skin. Eczema, dry skin, cracked heels and premature aging are all signs of Omega-3 deficiency. Omega-3 fats prevent dehydration in the cells so that the skin cells are strong and full of moisture. Fish oil and Alaskan wild salmon are good sources of Omega-3. If you are a Vegan, you can use hemp, linseed and chia seeds. Give your skin extra care during the winter when dry air can dry out your skin, and cold windy weather also depletes your skin of moisture. Consider running a humidifier to increase the moisture in the air.